Steven Butala:                   Steve and Jill here. Steven Butala:                   Welcome to The Land Academy Show, entertaining land investment talk. I'm Steven Jack Butala. Jill DeWit:                            I'm Jill DeWit, broadcasting this time from beautiful San Diego ... Excuse me. San Francisco, California. How funny is that? Steven Butala:                   Today Jill and I ... We're having so much fun she doesn't know where we are. Jill DeWit:                            I don't know where we are. Steven Butala:                   That's really what's happening. 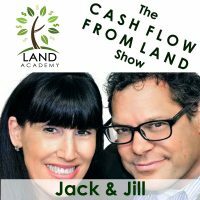 Steven Butala:                   Today, Jill and I talk about land investment opportunity, state by state. I'll call off the states. We'll talk a little bit ... Like for example, is Montana a good place to start buying and selling land? Is Ohio? Jill DeWit:                            New Mexico. This'll be fun. Steven Butala:                   It should be fun yeah. Jill DeWit:                            I love it. Steven Butala:                   It should be not boring. Everybody has to live in a state or two. Jill DeWit:                            They do. It helps. Steven Butala:                   Turns out, I have a lot to say about this. Just like most things. Steven Butala:                   Before we get into the topic today though, let's take a question posted by one of our members on the LandAcademy.com online community, it's free. Jill DeWit:                            Okay. Nick asks, "I relisted and sold a property this Friday afternoon to someone that happened to be a neighbor." Jill DeWit:                            "Real nice guy. Excited to get the property. Met him at the bank, and closed the deal. He went to the property today, which is Sunday to discover that the defaulted buyer has his truck, fifth wheel and dog on the property, so he is squatting. I never knew he was living on the property and don't think he moved on until after he defaulted. I called the sheriff's department to go kick him out, but the deputy called me back and said it was a civil matter and I needed to foreclose on him by filing through the William Justice Court. Is the deputy wrong and just being lazy? Or do I need to get a court order to vacate? He said it was a landlord/tenant issue. The property's in my name, he was going to get deeded the property after the final payment in full was made. I have the original copies of all the paperwork, including all electronic correspondence. I'm no lawyer, but it seems that he is criminally trespassing on property and the sheriff's department should remove him." Jill DeWit:                            "I was under the impression that by using a land sale contract, it negated the need to go through foreclosure." Jill DeWit:                            "I would appreciate any insight on this issue from anyone that has dealt with this issue before in ...", do you want me to say the county? Steven Butala:                   In a northern county in Arizona let's say. Jill DeWit:                            There we go. "I'm meeting with the buyer tomorrow night after work to give him his money back." Aww. Steven Butala:                   Aww. That's the real tragedy there. Jill DeWit:                            Yeah. I hate hearing that. Jill DeWit:                            What do you recommend? Steven Butala:                   I'm not an attorney either. I have to say, this is a very, very rare situation. If you're a new person listening, this is not something to be too concerned with. Steven Butala:                   Although it really does ... It's too bad Nick. I'm sorry. Plus that county in Northern Arizona is really, really nice, so I'm sure that's why this person's living up there. Steven Butala:                   Yeah, he's living there. Jill DeWit:                            ... just kind of moved on there. Jill DeWit:                            That really is ... You know what? That bums me out too. Why do people think that that's okay? Steven Butala:                   I personally would not ... I would have talked to the buyer and said, "Hey, hold on a second. We'll get this all figured out." Steven Butala:                   "Just sit tight." Jill DeWit:                            "We'll do it together." Steven Butala:                   Yeah. "I don't want to take your money yet, but I'll figure it all out." Steven Butala:                   What it really ... If Jill was in this situation, she would twist it all so it makes it a real positive thing like, "What a great piece of property this is." Steven Butala:                   "As soon as I get this guy off there. You can jump in." Steven Butala:                   "So, hold tight." Jill DeWit:                            And see what's possible. "You can park it here, it's all great." Steven Butala:                   Yeah. I do think it's a trespassing issue. I'm very confident the deputy had no idea what you're talking about. There's real specific rules about this, and what to do and what not to do in the state statutes. Steven Butala:                   What I do think you probably need to do unfortunately is get a lawyer up in that area, in that county. Jill DeWit:                            They probably have really steps. Sure we do, A, B, C, D, and it's taken care of. Jill DeWit:                            Yeah. Maybe scare him? Jill DeWit:                            No, not like that scare him. Jill DeWit:                            But just say, "Hey, I'm about to go through the motions. Do you want to-"
Steven Butala:                   I would have a man to man talk with the guy about what's the right thing to do here and what's not the right thing. Steven Butala:                   In fact, I'd probably have several conversations about that before I call a lawyer. Jill DeWit:                            "You need to move on buddy. This is not cool." You know, I want to point out too, this is not alone ... This is any property. Think about this. Jill DeWit:                            What if you're renting out ... You have rental homes. Those folks have to deal with this too, so it's not unique to rural vacant land or anything like that. Jill DeWit:                            It's part of being in this industry, and it's not a bad thing. You just have to be ready and know what the laws are and how to handle it. It might come up two times out of 10,000. Jill DeWit:                            That's it. You know? Steven Butala:                   California's got a rule about this, where they ... It's very pro tenant. Steven Butala:                   ... and legally lived there for six months there without paying rent. Like right on the ocean. Jill DeWit:                            Right. Yeah, like gorgeous Strand property. Steven Butala:                   10, 12 million dollar properties. Jill DeWit:                            Mm-hmm (affirmative). It's very interesting. Steven Butala:                   You just have to be aware of this stuff. Every real estate investor at some point has to deal with things like this. Steven Butala:                   It's not that big of a deal. Steven Butala:                   Yeah. You just roll with it. Steven Butala:                   Today's topic, land investment opportunity, state by state. This is the meat of the show. Jill, I'm going to just ... I want you to throw the names of states out to me. Steven Butala:                   I'm going to give you my two decade opinion about ... This is now for rural vacant land for the most part. Steven Butala:                   I'm going to throw in some house investment situations and stories that we have. I know this stuff pretty well actually. Steven Butala:                   Oklahoma's a fantastic state. It's in one of my top five to buy rural vacant land. Steven Butala:                   There's lot of ... If you look at a road map ... This is one of the things we never talk about, but before choosing a state and even a county, just get a road map. Go onto Google Maps, turn the satellite off, and take a look at the roads, how dense they are, how ... If you look at Arizona, there's no roads anywhere. Or Northern California for that matter. You can be on one road forever. In Texas too. Oklahoma's not that way, and Michigan's not that way. Which lends itself well to access issues, that can potentially come up with rural vacant land. Everybody loves Oklahoma, who lives in Texas. I don't know why. Jill DeWit:                            Isn't that great? Steven Butala:                   They want to retire there. Jill DeWit:                            They go up there. My parents used to do that. My parents lived in the Dallas area, in Grapevine and they would go up there and visit the lakes. Jill DeWit:                            And just spend a week on a lake up there. I can't remember the name of it, but there was one in particular that they loved. Steven Butala:                   Jill and I bought ... This was a few years ago now ... Like a 25, five acre properties that I wasn't real excited about buying them. Man, we sold them in one weekend. All of them. Steven Butala:                   And users. Not even to an investor, because they were so hot. Jill DeWit:                            Rolling hills. Just gorgeous. Jill DeWit:                            That's so true. Steven Butala:                   Oklahoma's a great state. Steven Butala:                   What was the next one? Jill DeWit:                            Can I [inaudible 00:07:31]? Okay. Steven Butala:                   Florida's fantastic. Everybody in the East Coast, if you're listening at all. Everybody knows that everyone goes to Florida for vacation. Florida has a centralized tax ... A way of putting property back on the tax rolls after it falls off. For not a lot of money, and not a lot of research and stuff you can figure that out. They have online auctions         all the time. You can buy really good property for one, two, three thousand bucks. Jill DeWit:                            Cool. I'm going to come back to the other coast. How about Oregon? Steven Butala:                   Oregon's a good state. Lake County Oregon specifically in the Southeast is good. Very, very inexpensive. The thing with Oregon is that, it's ... Oregon has a, they have an attitude. Let me put it that way. Jill DeWit:                            Like you can't pump your own gas. Jill DeWit:                            I like that. Jill DeWit:                            No sales tax. Steven Butala:                   Expect dome dissident type attitude up there. Jill DeWit:                            Got it. What about Montana? Steven Butala:                   If you can find property in Montana, go for it. I have purchased property in Montana, but they're really proud for a lot of good reasons. They're really proud of the prices up there. From a back tax standpoint, you almost never see a property go back tax. They have a ranching mentality there. Mostly because I think the property's very, very usable. Steven Butala:                   And it's gorgeous up there. Let's just all be honest. It's truly amazing, Montana is. Steven Butala:                   Montana borders Canada too, right? Jill DeWit:                            Oh. Uh-huh (affirmative). Jill DeWit:                            Oh. Glacier National Park. Steven Butala:                   ... I've purchased property over the border way cheaper, same geography in Canada. Jill DeWit:                            Yeah. I think Montana's gorgeous. Jill DeWit:                            So darn pretty. Steven Butala:                   Sorry, what was your next one? Steven Butala:                   ... but you know, you're going to have to get drone shots and professionally do a listing. You can make ... There's a guy in our group that does this in Oklahoma. He's only done a few deals with us that I know of, and he's made millions of dollars. Steven Butala:                   Utah ... Sorry, what's the name of that county up in North ... I think it's Iron? I don't know. Utah, because of the salt, flat and Salt Lake City type situation, property in general is not as usable. There's not as many uses for property like that. It's really where it looks like the moon kind of thing. You can buy super cheap property. It's hard to sell. Steven Butala:                   That's not for the weak at heart. Same thing with Nevada. Nevada's like that. Jill DeWit:                            What about Texas? Steven Butala:                   I love Texas. Texas is fantastic. There's nothing but property there. It's really easy to split it up. At least half of our members live in Texas for whatever reason. Steven Butala:                   Or close to half I should say. There's 274 counties I think in Texas, and they have a back tax system ... It's tax deed so you ... It's not a lien. I don't want to get into that but by law they're supposed to hold, on the second Tuesday of every month, an auction to auction off all the back taxes. I'm over simplifying. They have to do it on the courthouse steps, not on the internet. Some counties abide by it, and some counties don't. Jill and I have bought a lot of property in Texas, and most of the counties that we've purchased rural vacant land in, the sheriff is also the accountant, and they only work two days a week at the county level. If you like that kind of thing ... I personally do. I think it's pretty cool. I'm not sure I would want to live there in an environment like that full time, but it makes for like getting stuff done. Steven Butala:                   I know Jill loves Texas. Steven Butala:                   She loves doing deals there. She's like that. Jill DeWit:                            People are just so darn nice. Steven Butala:                   It's people. Yeah. Jill DeWit:                            It really is. That's a lot of this too. The people, the communities. I think that's ... Whenever we, even as wholesalers, we do most of our sale to other investors/however, I never turn down the end user. They just really win. They're getting some great deals. I'm not going to change it, I'm just going to ... That's what I see most people looking for is these communities. They really know their areas, they really do their homework. Jill DeWit:                            They're not just looking for a piece of dirt, per say, but they're looking for an experience, and where they want to be. Jill DeWit:                            That's the nice thing about Texas. It's really cool. The one funny thing too about Texas, that I always think about, is it's pretty darn lax. If you have acreage in Texas, most people are going to leave you alone. Seriously. Jill DeWit:                            You know? I've talked to people, and especially in some of the West Texas counties that we've done some bigger transactions in, you know, I tell people, "Look. You're buying 40 acres. Good luck even getting someone at the county on the phone. Unless you're doing something crazy, most people are not going to bother you." Jill DeWit:                            It's really nice. It's true. It's really cool. Steven Butala:                   ... all I ever say is check your stuff. I don't know. I don't even profess to know what the water tables are. Jill DeWit:                            Right. Not every state. Exactly. Do your homework. Jill DeWit:                            Exactly. Do you have any other states that you want to talk about real quick? Steven Butala:                   You know, it's what I said in the beginning. It really matters. 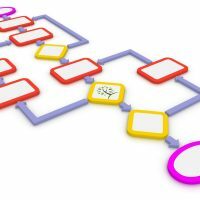 Look at a road map. Jill DeWit:                            Why? Because nobody wants to sell what they have? Steven Butala:                   Nobody's ever ... I've had other people in our group confirm this. Jill DeWit:                            Isn't that funny? Steven Butala:                   I thought it was just me for a while. Steven Butala:                   They're like, "No. It's hard to get property." Upper Peninsula, a whole different story. You can get all kinds of great property up there. Jill DeWit:                            I found that in some areas in California. Especially Southern California. Maybe because not a lot of people are hurting for money, or I don't know, maybe the one's I've talked to. It's so funny. No, they're happy to just hang on to it. Jill DeWit:                            They'll hang on to it for a long time too. It's very interesting. Steven Butala:                   This week is Land Investment By the Numbers by the way. I just had a virtual assistant overseas spend weeks on breaking down the properties. How many houses, how many pieces of land, and whatnot, by zip code. Not even by county. There's 30,000 usable zip codes in the country. I had them do that, and over this week I'm going to share the results of that. Jill DeWit:                            Oh. I can't wait. Steven Butala:                   Like how many properties are in Texas? How many properties are houses? You know, single-family residential. My whole point in this ... I'm going to close with this here, is we're not going to run out of property. Steven Butala:                   There's not a finite ... It is technically a finite database of properties, but geez. Every year their tax bills go out. Every year you get a new seller. There's 15 million properties in this country. You're not going to run out of property to purchase. I know that it happens every week, people call us. Steven Butala:                   Well, you've done it again. 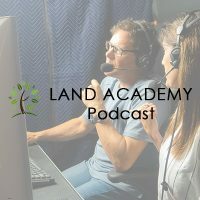 You spent another 15 minutes with us listening to The Land Academy Show. Join us tomorrow, for another interesting episode, where we discuss land investment opportunity county by county now. Then later this week zip code by zip code. Jill DeWit:                            And we answer your questions, posted on our free online community found at LandInvestors.com. Steven Butala:                   You are not alone in your real estate ambition. Jill DeWit:                            Yeah. Think they stayed awake for that? Steven Butala:                   I mean, we can't because of the time constraints, list all 50. But if you go to COUNTYWISE.com, listener, it's completely free. We don't talk about it too much. We have a bunch of information that's broken down by county, and by state. Jill DeWit:                            Yeah. Census maps. Steven Butala:                   Yeah. Really good stuff. Jill DeWit:                            There's so much information there. It's really for us and our community. I do appreciate that, that you left that website open and free for everybody to go check it out. Jill DeWit:                            It's going to be amazing. Steven Butala:                   Literally choose ... I mean, the people who come to this live event, it's pretty small. We will get a mailer out right at the event. Jill DeWit:                            Oh boy. It's going to be awesome. Share the fun by subscribing on iTunes, or wherever you're listening. While you're at it, please rate us there. We are Steve and Jill. Steven Butala:                   We are Steve and Jill. Information. Steven Butala:                   To buy undervalued property.